Ski Holidays to Ischgl in Austria 2017 & 2018. For lots of fun winter sports plus a sophisticated nightlife, the popular ski resort of Ischgl will keep you busy 24/7. One thing is for sure, whether you come for a week or a weekend you won’t get fed up here in Ischgl. This resort is easily accessible. 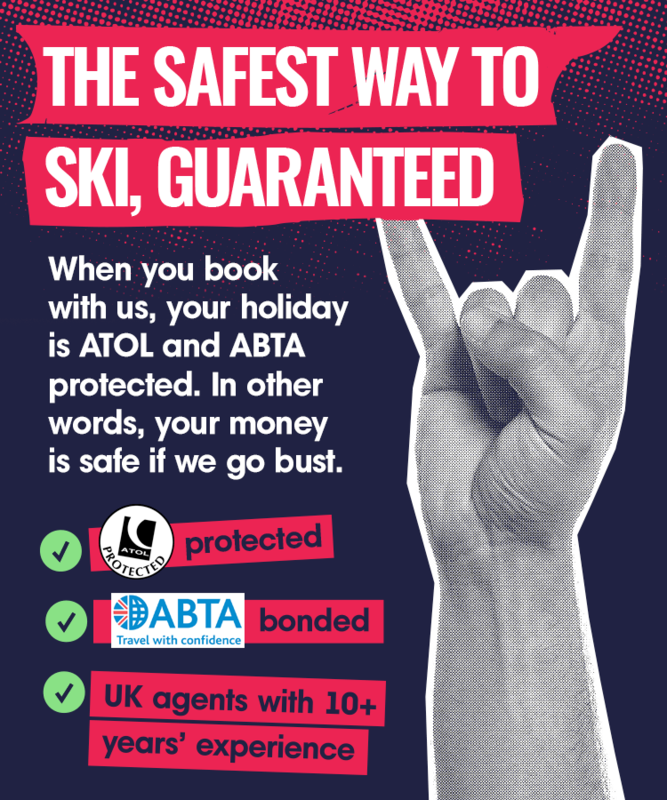 There are two airports, both are less than two hours drive away so you can be on the piste in no time after landing. Innsbruck Airport is only one hours drive away so for a skiing weekend or a short snowboard break Ischgl is an ideal choice. Ischgl is a large but traditional Tyrolean village which makes up part of the Silvretta skiing area. 200km of superb skiing downhill is available here. Forty two ski lifts serve the pistes in Ischgl, of which there are 52. Galtur, the other ski resort in the Silvretta region can be accessed providing you have the correct ski lift pass. Whether you are going there to snowboard or ski you can feel confident of getting out on the pistes of over 2500 metres. Natural snow is able to be augmented here in Ischgl on ski runs of 200km wth more than 600 Snow Cannons. No need to queue here as the abundant number of ski lifts are able to carry 73,255 people per hour that are wanting to ski or snowboard. The huge high ski area at Ischgl which is the biggest in the eastern area of the Alps is very accessible from the centre of the village. There are three gondolas available which will take you up to the skiing high above. Beginners will take the gondola up the mountain to a snowsure plateau, the resort here doesn’t have any level beginner slopes. However, beginners can reach the gondola easily now. There is a tunnel to the station base direct from the centre of the village. For altitude new skiers they can be sure they will be learning to ski on the correct sort of terrain. The Silvretta ski arena is something any intermediate skier will love. Imagine the feeling as you ski over the border into Switzerland and long wide open runs up to 7km in length, exhilarating! Expert skiers have ten black runs in the region totalling 40km so they won’t be disappointed with this ski resort. Also the cross country skiing is fantastic and has ove 40km of ready prepared trails suitable for all abilities. What about the snowboarders out there? Here in Ischgl in 1993 they held the first ever ISF Snowboard Championships, the following season the Snowboard Masters were held here. The fun park for the snowboarders has some serious stuff here including jumps, rails and more. The Apres Ski in Ischgl has a really lively atmosphere. Whilst there is a wide mix of guests from around the globe the majority of visitors are German. Once the ski lifts are shut the bars are in action. With over 30 to choose from you can’t fail to have a great time. At some venues there is socialising by the side of the slopes. The Marends which you will find at the Hotel Elizabeth does this a lot and is a popular choice for Apres Ski. Some other frequented venues include a bar in the hotel Tscia called the Allegra American Bar and Niki’s Stadl in the Piz Buin Hotel is a popular haunt too. There are three discotheques to be found if you want to continue on until the early hours. The three late night hot spots are The Club Apres which you will find located at the Hotel Central, Feuer and Eis, or to the English Fire and Ice and Madlein Wunderbar. When the lights go out over Austria, Ischgl is switched on. Nightlife worthy of any international city makes Ischgl the place to be on winter nights. If your idea of Apres Ski is something a little quieter then there is always bowling, tobogganing or swimming. Ischgl’s opening and season end are well worth a visit even if you don’t ski. Superstars such as Rhianna are frequent visitors and you can see stars such as this at the Top of the Mountain concert each year. Accommodation in this resort varies from the five star hotel Arlberg Hospiz which offers its guests a swimming pool, gym, sauna and steam bath, beauty treatments and luxurious rooms, to the three star self catering apartments starting at just £300 per week for four people. Although the must have for all devoted skiers who want the very best is Ischgl’s fabulous VIP Club. The Club can be found in the centre of the skiing area in Ischgl at a place called Idalp. Here members of the VIP Club can enjoy a la carte dining and drinks in the luxury of a clubhouse exclusively for them.